Hi all, and yes, I’m back. Life happened, between my primary job, my weekend job/volunteer activity, and simply surviving the first two months of school have left me worn out. But I’m back, and finally in the mood to write. To be honest, I wasn’t happy with where some parts of the story were going. Or not going. Or something like that. So I skipped a few chapters. I’ll come back at the end, when I see how the story flowed and how I can build upon it/shore up some foundations. In other news, it appears I’ll be part of another Steampunk Extravaganza! Super pumped for this! Last time I dropped the price on Brass Legionnaire to 99 cents for a few weeks. I’ll have to see what I want to do this time ;-). In the meantime, enjoy this ‘rough cut.’ PS If you closely examine the picture above, you’ll be able to find the location of our current scene 🙂The Mongol patrol cantered along the western route of the Via Aegyptus. 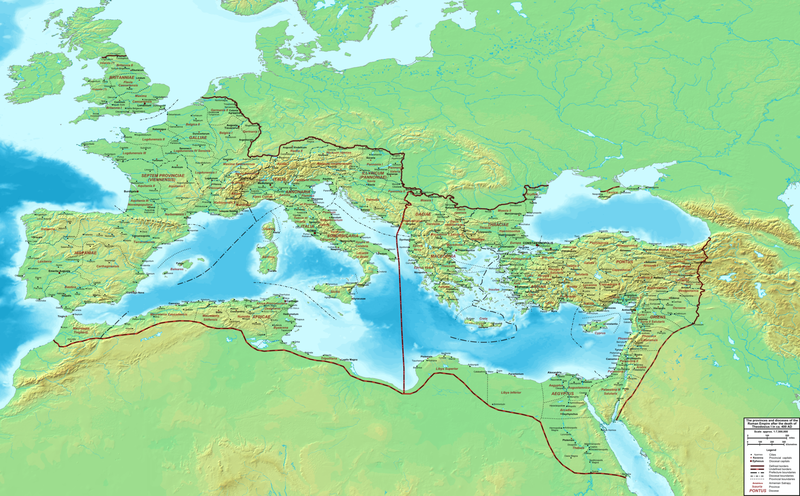 To their left lay the Mare Mediterranean, to the right rose the eastern branch of the Tarsus mountain chain, neatly dividing Anatolia and Mesopotamia. The familiar clop-clop of horses’ hooves reached their ears as they approached a bend in the road. Their war leader stopped for a moment, quickly motioning his men to fan out. Horsemen cantered into the trees, while others quickly loaded their wicked recurve bows. A rider appeared in the moonlight from around the bend, dressed in the same hybrid of Persian and Nomadic styles of clothing. The war leader chuckled for a moment, calling out what was probably a greeting. The rider waved and spurred his horse ahead, waving his hand and pointing behind him, calling out in Persian. The Mongol cocked his head and asked another question in slow, rusty Persian, no doubt mistaking the man for one of the many new recruits in their army. Babbling in Persian, the scout rode closer, until he was no more than a few feet away from the war chief. At that moment, the man pulled out a hand-repeater and shot the warchief in the chest. With an oof, the man slumped to the side, his feet still stuck in his stirrups. All around them, Roman scouts and legionnaires launched the ambush, arrows appearing from the darkness and slicing into men and horses. Cries of alarm and battle arose, and then, just as quickly, ended. A few grunts or low murmurs of pain were all that remained as the Romans dispatched the few surviving wounded Mongols. “Did any get away?” Constantine asked from his viewpoint a few hundred feet away. He handed his spyglass to an aide, who carefully secured it. “Very well. Push your scout screen as far forward as possible. We’ll bring up my legions and encircle the city from north to south. The Mongols will either be trapped against the walls or find themselves under siege.” Constantine laid out a string of orders to his messengers, who galloped off into the night. “Oh, and centurion? I want new procedures in place for identifying our own scouts and messengers. I do not want our own tricks finding their way into the Mongols’ manual.” The officer saluted and trotted away. Besides him, Commander Murtes stirred slightly. “Commander, if your body could talk, I’m fairly certain it would have been screaming in frustration by now. I already know how you feel about my choice to split our forces.” Murtes made an abortive gesture with his arm in response. Constantine smiled at the older man.